like Nissan Leaf, declining battery costs, government subsidies, and public/private infrastructure investments, it is a good time to ask: Are we on the cusp of an electric vehicle “tipping point”? To answer this question, we need your help. The Mack Institute’s Program on Vehicle and Mobility Innovation (PVMI) has teamed up with Good Judgment Inc. (GJI) to launch an exciting new challenge on electric vehicles. This is the first of GJI’s challenges to focus on technology forecasting. The electric vehicle challenge will launch on Earth Day 2016 (April 22) and will include questions designed to assess how quickly electric vehicles will reach mass markets. Specific topics will tap into consumer behavior, technological developments, and government policies that have the potential to propel the trend forward (or hold it back). As you make your predictions, you will be able to see what other people are forecasting and change/update your answers at any time. PVMI’s industry experts will be forecasting right along with you. We are encouraging them to provide substantive comments on the reasoning and information sources underlying their forecasts. As soon as the challenge closes and definitive answers can be verified, winners and losers will be notified and those with the best performance for the entire challenge will be publicized. Good Judgment Inc. runs forecasting tournaments on a variety of topics by combining clusters of time-limited, specific questions to identify important long-term trends. It is the commercial spinoff of the Good Judgment Project, a successful research project run by Wharton professors Phillip Tetlock and Barb Mellers, demonstrating how forecasting tournaments could harness the wisdom of crowds. Most of the previous challenges have focused on geopolitical events; the electric vehicle challenge is Good Judgment’s first to focus on technology forecasting. 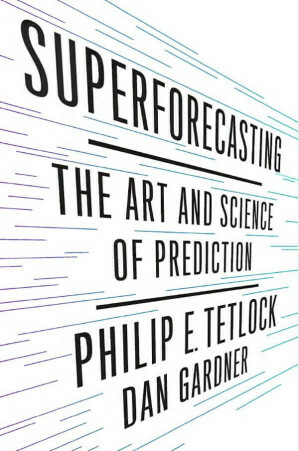 For more on Mellers and Tetlock’s research, and the initial Good Judgement Program, we recommend these stories in Wharton Magazine and Knowledge@Wharton, as well as Tetlock’s recent book (with Dan Gardner) Superforecasting: The Art and Science of Production. Past research on forecasting has indicated that the crowd’s estimate is usually better than the typical individual within the crowd. Whether or not you beat the crowd, by joining in, you will be improving the collective answers that are produced by the forecasting challenge as a whole. What insights will we uncover when we pool our knowledge? 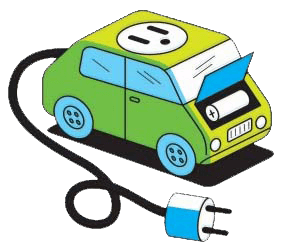 We will be communicating more with you about the Electric Vehicle Tipping Point challenge over the course of our contest. We’ll also be publicizing the “leaderboard” showing which forecasters are doing best across the cluster of questions, rewarding the best forecasters (mostly with praise and possibly a few additional perks), and then soliciting your input in designing the 2017 questions. Depending on the level of enthusiasm, we may also look to expand our scope to a second Challenge on autonomous (self-driving) vehicle technologies. Like us, we hope you are excited about the prospects of joining our smart crowd, and forecasting upcoming developments in the electric vehicle world. We look forward to hearing from you! Update: The original challenge has now been expanded to include autonomous vehicles. Learn more here. I’m a big fan of Elon Musk and Tesla. However, I personally think we are going to see cheaper, personal electric transport such as electric scooters and bikes increase in popularity. Thanks for the info!